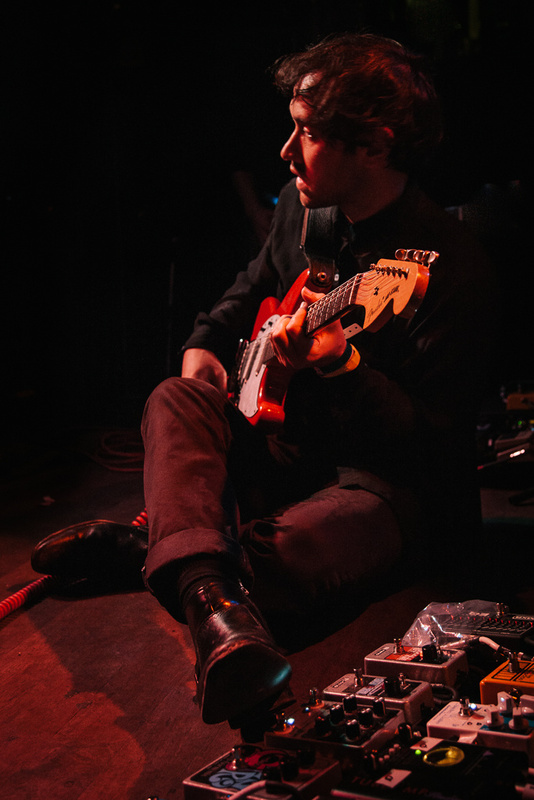 The pedal was used by Chris Wolstenholme during the Resistance tour. According to this rig rundown, at 4:42, Micro Q-Tron is visible. An EHX Micro Q-Tron can be seen at 0:45. "Remándola desde abajo los efectos: Afinador Pitch Black, Shaker Vibrato y Hall Reverb TC Electronics, Blogger Fuzz EHX, Whammy Digitech, Micro Pog EHX, Super Octave BOSS, Bass Synth EHX, Dragon Distorsion Cluster, Envelope Filter Micro QTron EHX…"
In this photo, one see a Micro Q-Tron in Ruban's pedalboard. 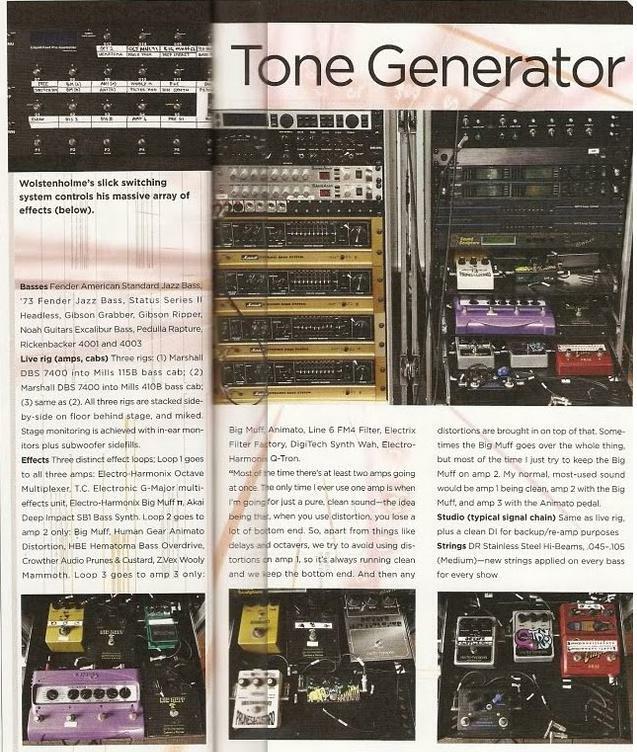 According to Premier Guitar's rig rundown, Osborne uses EHX Micro Q-Tron pedal. "prueba de sonido en San Juan"
Drive Control - The filter sweep sensitivity control. Determines the width of the filter's sweep range by the input signal. Produces more sweep when it's turned clockwise. Q Control &ndash Determines the frequency peak of the filter. Creates a more dramatic effect when turned clockwise. Mode Switch (LP, BP, HP)-Determines what frequency range the filter will pass through. Emphasizes lows in LP (Low Pass), midrange in BP (Band Pass), and highs in HP (High Pass). Footswitch - Engages and disengages the effect. Connections - Connect your instrument to the Input jack and your amplifier to the Output jack. Power - The Micro Q-Tron is powered by either a 9V battery or an optional Electro-Harmonix US96DC-200BI 9VDC Guitar Effects Power Supply. Inserting a cable into the Input jack engages the battery. For longer battery life disconnect the input cable when not in use. The Micro Q-Tron's effect is controlled by the user's playing dynamics - a stronger attack will yield a more dramatic effect, while softer playing will produce more subtle effects. Use the full range of control settings in combination with different playing techniques to obtain a number of different and unique effects combinations. I don´t like auto wah/envelope filters pedals. I finded out with this pedal. I don't use this effect a lot, but for my needs, it suits very well. My only complain is the huge volume increase when you engage the effect on certain setups.